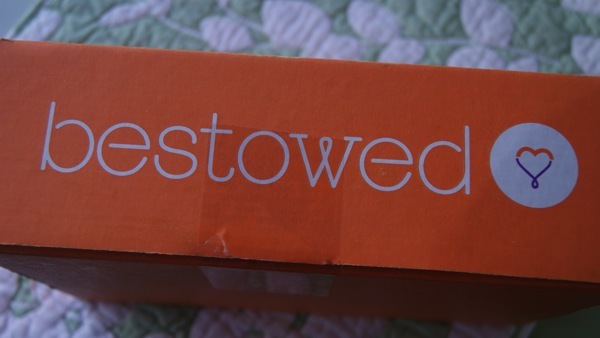 Bestowed Box Review + Giveaway! 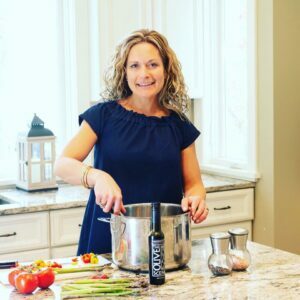 There are a lot of great healthy products out there that I find it hard to try or get my hands on. I will see a product in a magazine or on a blog and want to sample it before buying it online or in a store, but that is not always easy to. When I was given the chance to try the Bestowed Box, I jumped at the chance! This service offers at least 5 nutritional products delivered to your door each month. 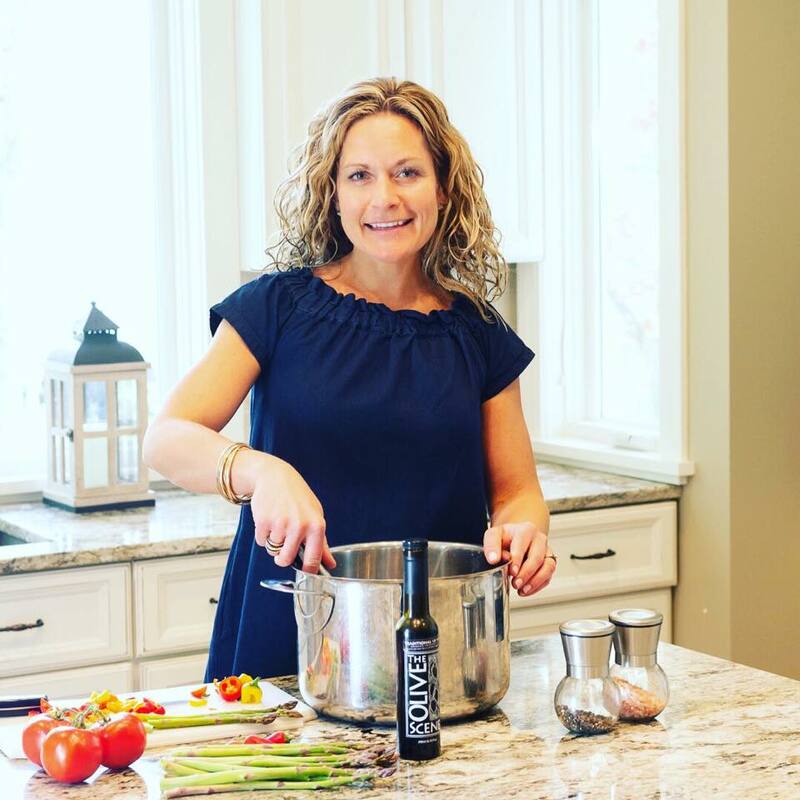 The products are picked out by celebrity nutritionist and author Heather Bauer. 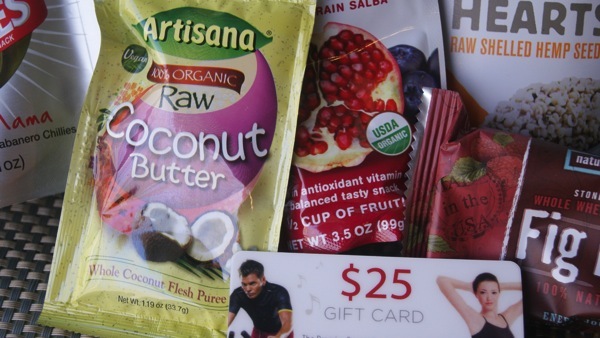 This month, the box came with 6 products and a gift card to try a new service. All of the products are something I would buy to try, so I was thrilled with the selection. The box came with an information page that explained each product. 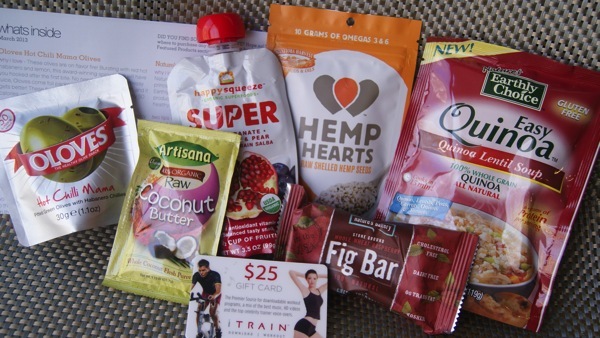 Some of my favorites: Coconut butter, hemp seeds and Nature’s Bakery Bars! I am also so impressed with all of the companies that Bestowed uses. Your turn for a chance to try 3-months of Bestowed for free! 1. “Like” The Healthy Hostess page on Facebook. 2. Follow The Healthy Hostess on BlogLovin (since Google Reader will soon be gone). i’ve never heard of bestowed box but its a genius idea! healthy goodies delivered to your door step?! can’t beat that! I am a fan/follower on FB, Twitter, Pinterest & BlogLovin’! what a great giveaway!! I am now following on FB, Twitter, BlogLovin and Pinterest!!! This seems like a great subscription box to try! 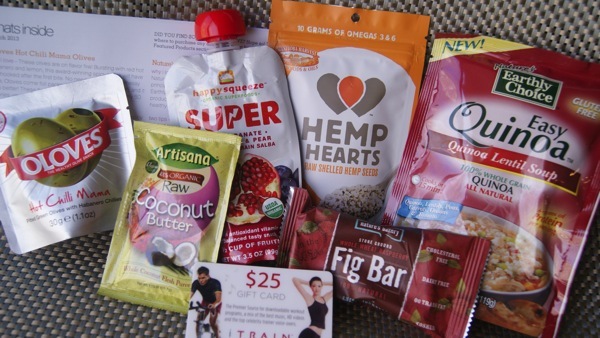 I’ve been looking for a healthy living box lately – this might be it! I already follow on facebook and twitter and now I am on bloglovin (I hope I like it enough to use when google reader is gone) and interest!